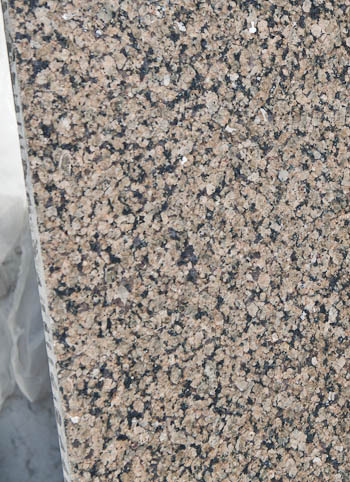 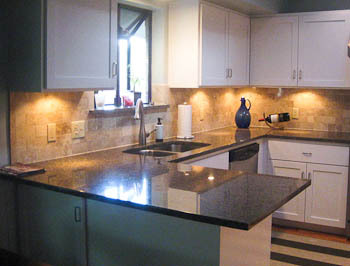 Tropical brown granite looks marvelous with the white cabinets in this Austin kitchen. 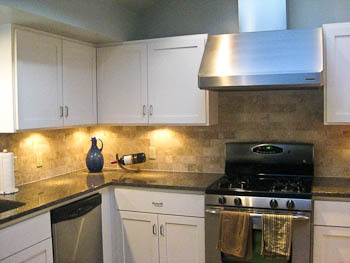 The subway tile backsplash is a nice, smooth cream marble. 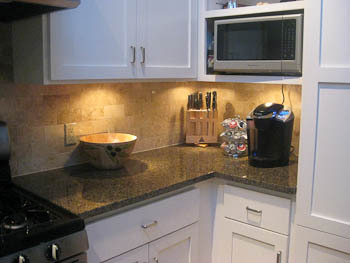 And, yes, that is a tropical brown granite window ledge made to match the kitchen countertops.